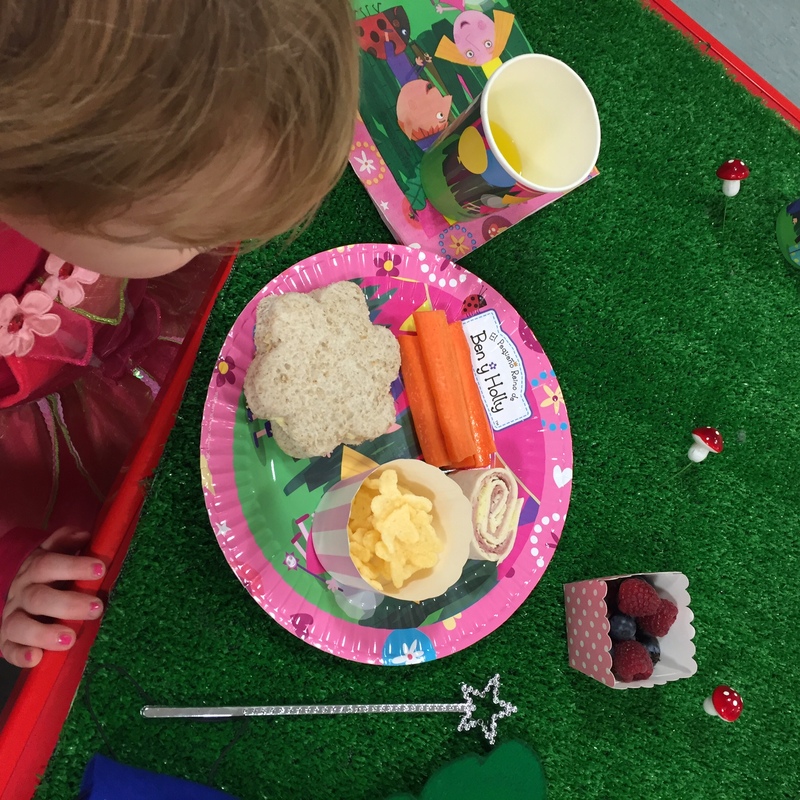 Dear Mummy, we attended a fabulous Ben & Holly’s Little Kingdom themed party last weekend and it was great. The attention to detail was amazing so we just had to share these party ideas. I’m nearly 3 years old, so one of my favourite programmes is Ben & Holly. 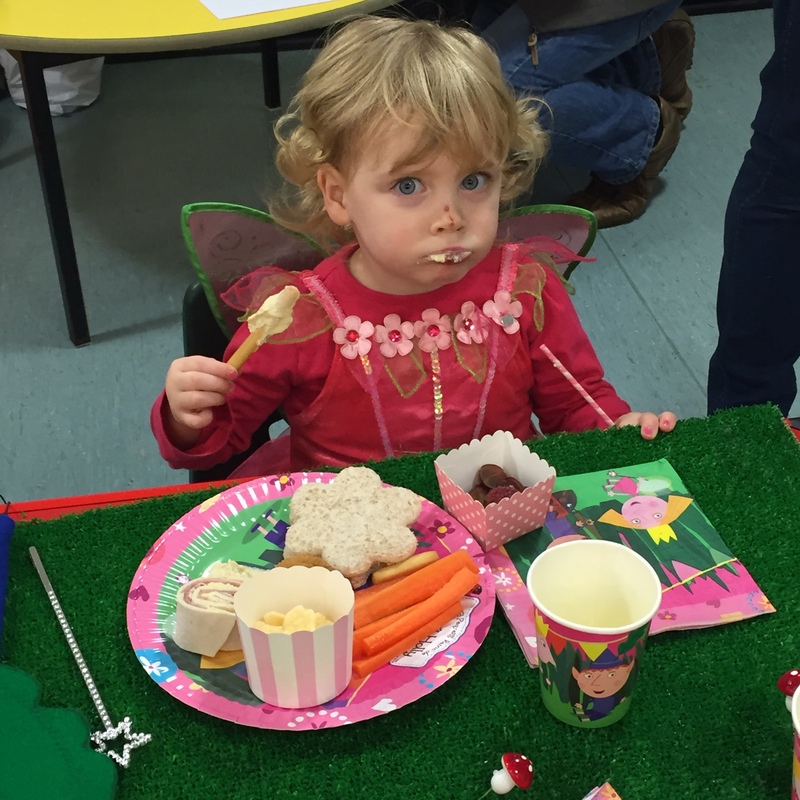 I dressed up as a fairy to attend my friends party and really enjoyed pretending to be Holly. The birthday boy’s name was Jack and he had a bouncy castle and a wonderful themed party table for us to sit at. 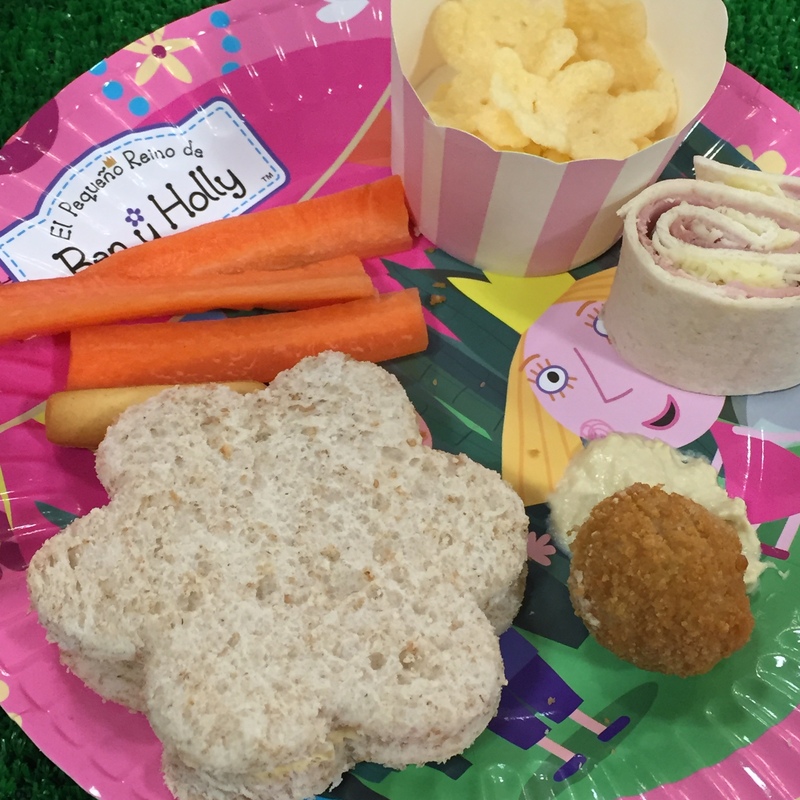 It included little party plates with the Ben & Holly design on, cute cut-out sandwiches and fun ham & cheese swirls. 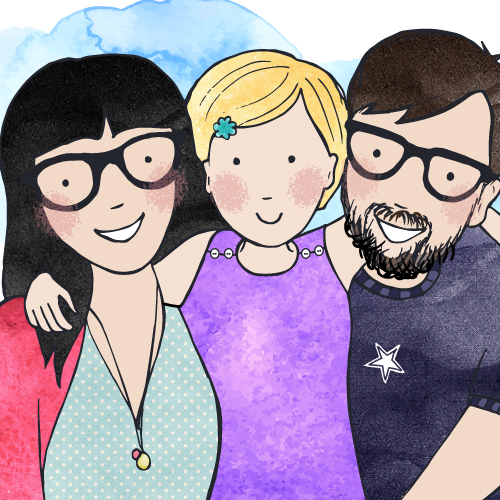 We’ve also scoured Pinterest and found some wonderful ideas to help you recreate your own Ben & Holly themed party. Cute Strawberry Toadstools – Made from Marshmallows and Strawberry’s on cake pop sticks with white chocolate. Ladybug Babble Cheese bites – Sliced open to make wings. Ben Elf Party Hats – Great for boys that don’t want to be fairies. 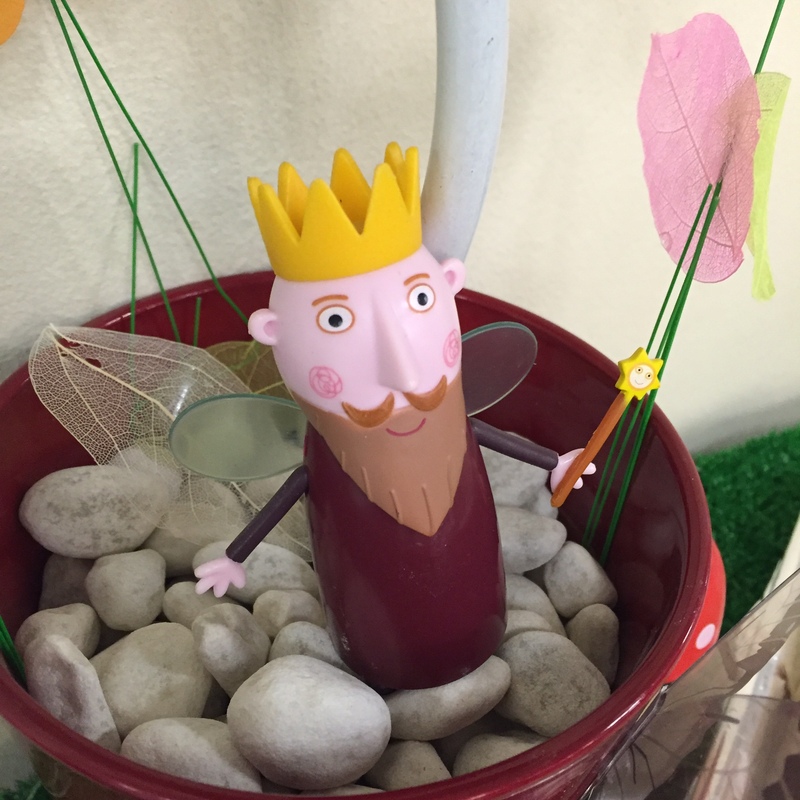 Ben & Holly’s Little Kingdom beautiful cake! One of the best we’ve seen! Holly’s cute wand – Really easy to make with cardboard and sticks. Table settings – Using fake grass material. 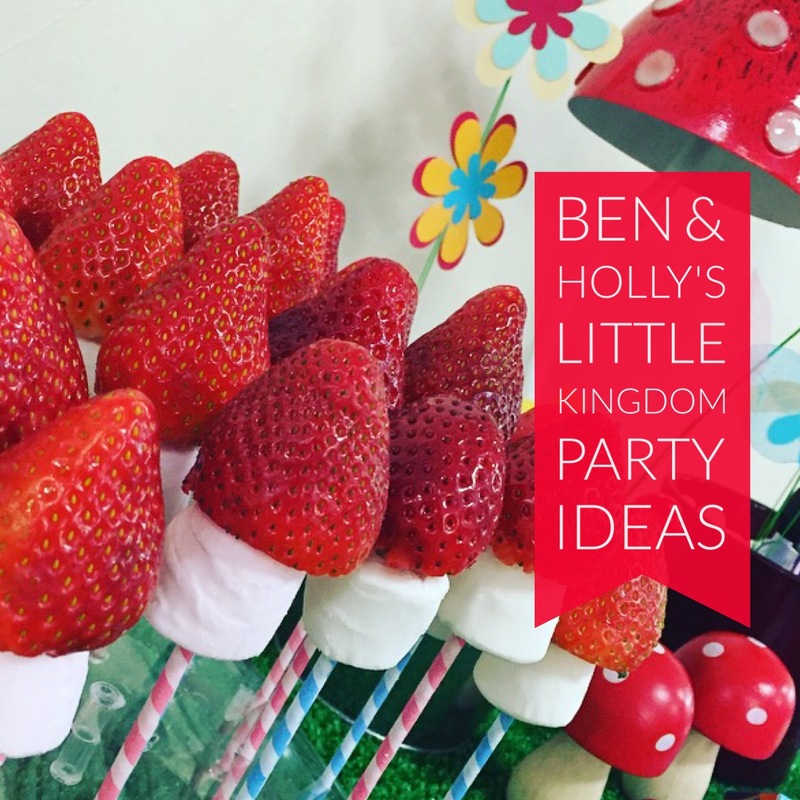 Let me know what you think of these Ben & Holly Party Ideas! Wow some fantastic ideas here. My son is obsessed with Ben And Holly. He would especially love those Gaston ladybird cheeses. They are fab!